Major new updates have been released for our favorite online website builder – Simbla – so we decided to present them to you today. In case you are not familiar with it, you should know that Simbla is a website builder that offers a complete solution for your business, allowing you to easily create your own custom web applications and database-driven websites. Creating responsive websites that will host your web apps and talk with your database has never been easier! We’re excited about seeing the eCommerce app added to Simbla. We’ve been waiting to see this new feature for a while and so far we like the way it was develiped! It will surely help all small business owners create their online shops with ease! The new dynamic pages feature is also pretty interesting, as it helps website builders keep their design consistent on all pages. 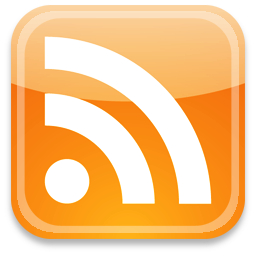 So, let’s detail these two new updates and see how we can use them to create awesome websites easily. Do you want to learn a bit more about the Simbla website builder? Here’s our guide on how to build responsive websites with it and our comprehensive review. Simbla is not only a website builder but also a cloud-based platform that will help you manage your online database and create customized web applications with ease. These two functions, and many others, are brought together in a user-friendly, well-designed, responsive user interface. By using cutting-edge technologies, such as Bootstrap 3 and HTML 5, you will be able to build your own responsive website with no coding knowledge required, just using a drag and drop, intuitive website builder. Simbla’s Dynamic Page Widget was created to reduce web building time and helping you keep the design consistent across the board. This means that the database will pretty much do the work for you. What does this mean? Dynamic data allows you to create a list and corresponding pages for every row of data in your database table. You will do the work only once so this is a huge time-saver! To illustrate this new feature, the Simbla team has created a website for an Escape Room business, a niche which has taken over the entertainment industry in the past couple of years. 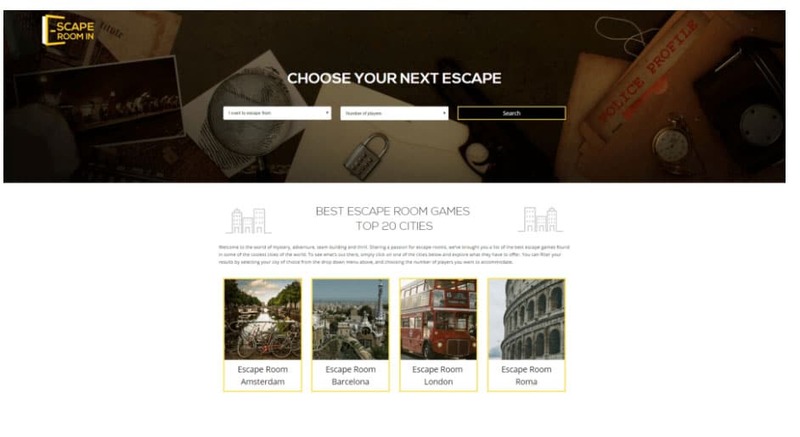 As you can see there is a simple search form on the homepage which has the purpose of letting the user select his/her city and find all the escape rooms in that particular location. This is when the database function comes in handy! Instead of designing every separate page for each city on the list, you have to input the info only once and with the help of dynamic pages, the content will be duplicated and adapted to every city. You can see below the result. The list of the most popular escape room locations was generated using Simbla’s Dynamic Data Grid Widget, which explains how it’s growing so quickly! Basically, all the user had to do was connect his website to the database containing information about escape rooms, drag and drop the Dynamic List Widget, and connect it to a table. For each escape room city featured on the homepage, there is also a corresponding page that was simultaneously created. This page is listing all of the best escape room games in those respective cities. The best thing about this is that the page design was only done once! Then it was automatically applied to every single city included in the dynamic grid. Selling goods or services online has never been easier! You can display your products, organize them, and let your users easily check out. The shopping experience was very well-thought, as your visitors can browse through your products at their leisure. You can easily track purchases and even get useful metrics and stats about which items contribute the most to the growth of your business. This eCommerce app can be easily integrated into any Simbla website. Using the eCommerce app on your Simbla website is easy! 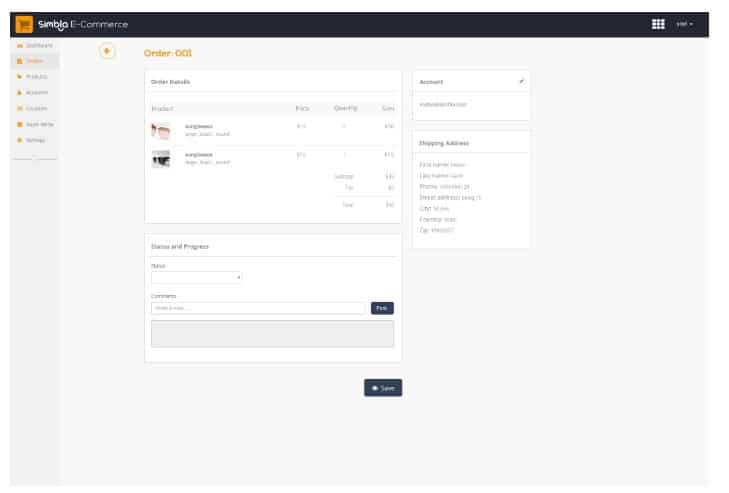 First, you have to connect the eCommerce app to your website, then embed the store widget on the site and go to the eCommerce admin panel where you’ll to some setups, such as settings, products, coupons, orders, accounts, and more. Finally, you just design and edit the store widget interface and you’re done! Your online shop is ready to receive orders! We asked Simbla’s team about their future plans and updates and they told us that they are now developing the dynamic pages function into a whole database driven role system that will do much more! 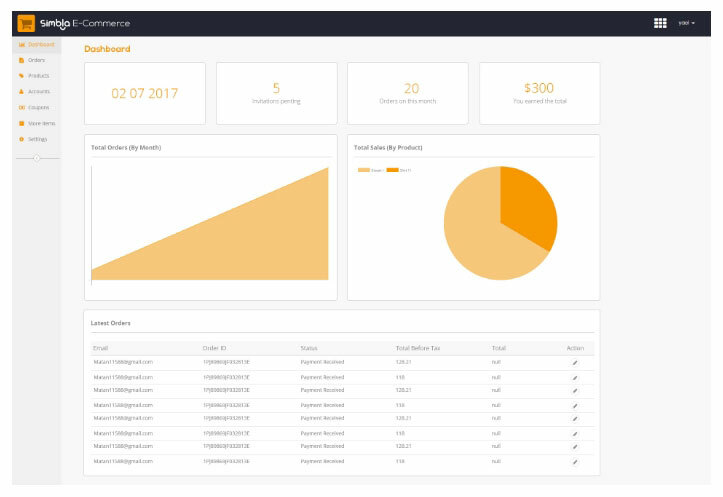 By the end of the year, they are hoping to introduce their first version of a CRM app that will communicate with all of the other apps through a single database and will all be under the easy Simbla UI builder. Future looks bright for the Simbla users, which will receive even more functions to their websites! If you want to choose this as your website builder, check out their website here.